E-Commerce business model has much work to handle and run, each day. They have to run the business along with managing the online store, simultaneously. Tasks are sometimes mundane and tedious. Such repetitive tasks are best handled by outsourcing a VA.
E-commerce Virtual Assistants provide data security required for the easy running of an E-Commerce Businesses and also act as dedicated project manager for an E-commerce Business, dealing with things like Customer Support Outsourcing, Admin, Writing, Web, Reception, Bookkeeping, etc. E-commerce businesses generally are loaded with numerous administrative tasks each day. 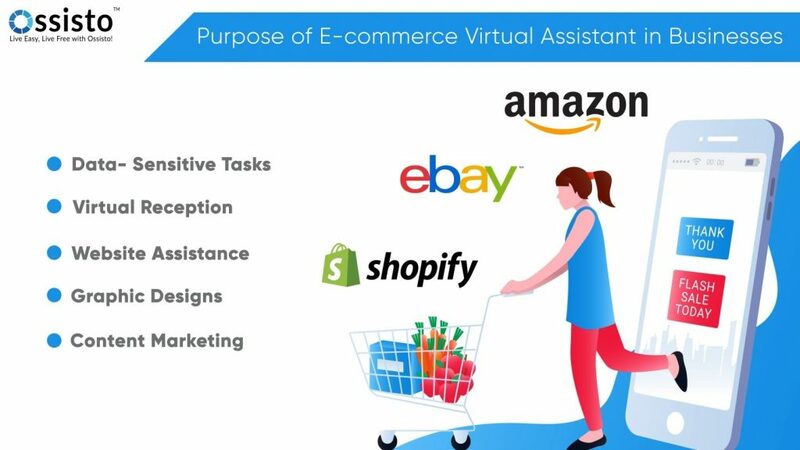 The duties of a Virtual Assistant vary according to the e-commerce business they work on. For example, Amazon Virtual Assistant Services completely differ from that of ebay, Shopify and Flipkart. Some websites need a VA to log in and complete customer support outsourcing, order fulfilments, to assist a user in making the right choice according to his/her taste, and to complete off-page activities and on-page promotions, vice-versa. Many e-commerce businesses generally involve credit card/debit card details, shipping info and other sensitive information of the customers. This information is safely handled by a VA, who is an expert in the area. He is well aware of the pros and cons of the sensitive data and makes sure it is safe and secure. E-commerce Virtual Assistants act as Virtual Receptionists for your E-commerce Business. They conduct customer support outsourcing service via phone, mail, chat, etc. They are well-versed in several accents and provide an in-house feel to overseas clients. Training and collaboration become easy because they are available at any hour of the day, without interruption. Every e-commerce business has their predefined set of graphics needed to be designed. With a VA at work, you will get the graphics at the right time you need it. Graphics necessary for banners, landing pages, flyers, posters, images, etc. They update your business cards, change the homepage graphics, at the time necessary. Virtual Assistants can handle tasks like content updates, WordPress plugin updates, etc. to make a website look up-to-date, each performing day. The general updates include, product descriptions, ALT tags on images, category updates, etc. Clients have the facility to customize services according to their will if necessary. E-Commerce sites constantly update products, price changes, offers, discounts, on their website. Though it can be done randomly, people with expertise can get your work done abruptly. Product descriptions, comparisons, blogs, reviews add more value to an E-commerce site when presented correctly. E-commerce Virtual Assistants update the regular changes in the website through their efficient writings. 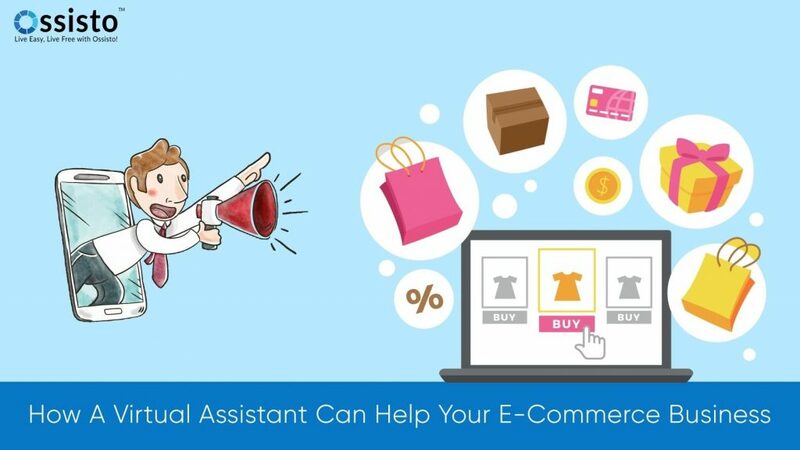 E-commerce Virtual Assistants not only help your businesses, but come up with the latest ideas to improve your services in the long-run. No matter what your niche is, VAs help you to be more productive by providing uninterrupted virtual help. Some truly nice and utilitarian info on this website, as well I conceive the style holds great features. Thank you Rachel, taking the time for sharing such a positive response. We appreciate you for visiting our website and your interest on it. We will continue to add useful content within our website to make it a destination point for all business administrative assistance. Nice post. I learn something new and challenging on websites I stumbleupon everyday. It’s always interesting to read through articles from other authors and use something from other web sites. Good post. Virtual assistants eases the interaction with the customers and also manages their preferences.